The Mercedes-AMG GT4 race car will finally have a street version. 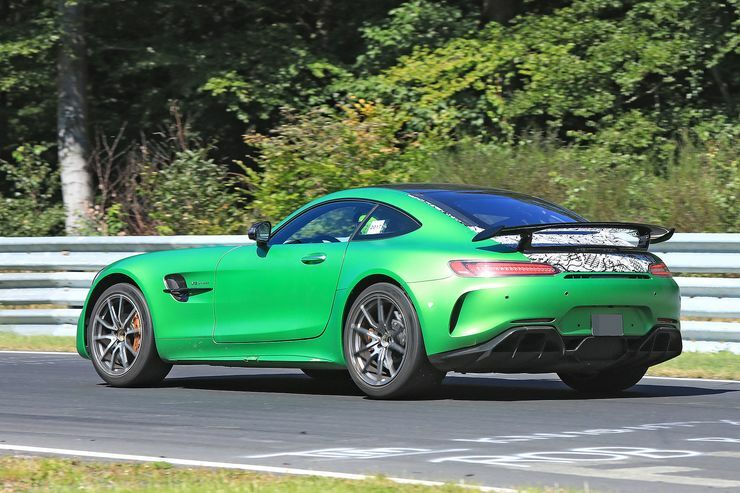 With the Mercedes-AMG GT4 the Swabians will rival both the Porsche 911 GT3 RS and Cayman GT4. FIRST SPY PICS. In addition to the GT3 AMG GT-based GT, AMG also expanded its customer program to include the GT4, also AMG GT-based, in July. The GT4 will debut this year in races and then will be delivered to customers in road guise from 2018 onwards. First racing cars were already tested last weekend during the 6h race in the VLN on the Nordschleife. Starting from 2018 the racing version of the GT4 based on the GT-R will compete in the racing series against the Porsche Cayman GT4 and other manufacturers. Mercedes will also offer a street version. 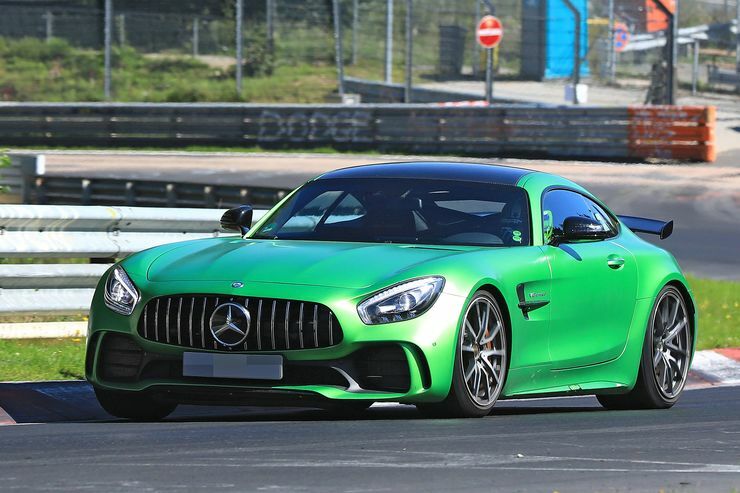 This was now caught for the first time at test rides at the Nürburgring. The Mercedes-AMG GT4 road version is also based on a stripped-down version of the AMG GT-R and uses the same tailpipes right and left to the rear diffuser, just as the racing car. The central exhaust tailpipe, which currently carries all AMG GT variants, is omitted and is replaced by the two “hidden” tailpipes. Another change is the weight, because the GT4 road version becomes lighter than GT-R and gets a lower center of gravity. Instead of a rear window made of glass, the GT4 road version gets a light rear window made of Plexiglas and the brake light is also missing. It is still unclear whether the roll-over bar installed in the test car is only present for safety during the tests, or whether it will be mounted on the series model too. On the drive side, the GT4 is likely to take full advantage of the GT R variant, as there is no restriction on the performance of the GT4. The road GT4 is expected to deliver 585 hp and 700 Nm from the well-known four-liter V8-Biturbo engine, while the racing version has 510 hp and 600 Nm. On the market, the GT4 is likely to come in 2018, following the introduction of the racing version. The GT4 is priced above the GT R and costs at least 165,410 Euros. For the racing GT4, Mercedes requires 198,850 euros, however, plus VAT.